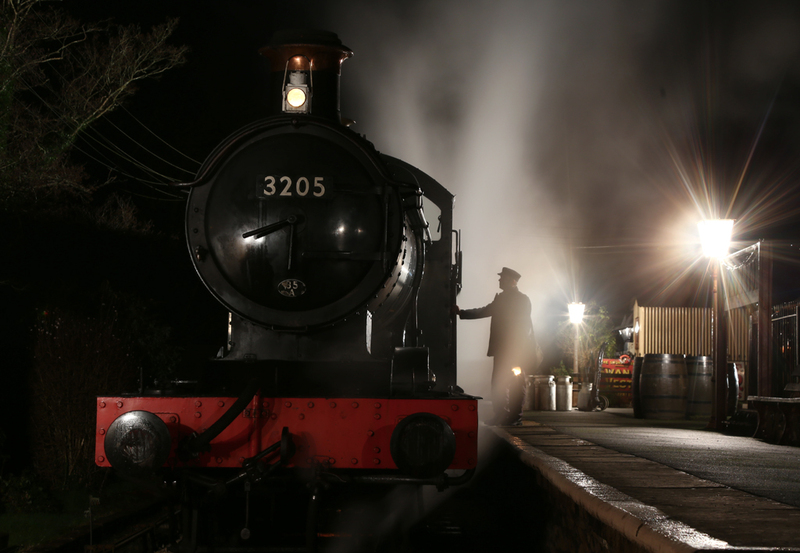 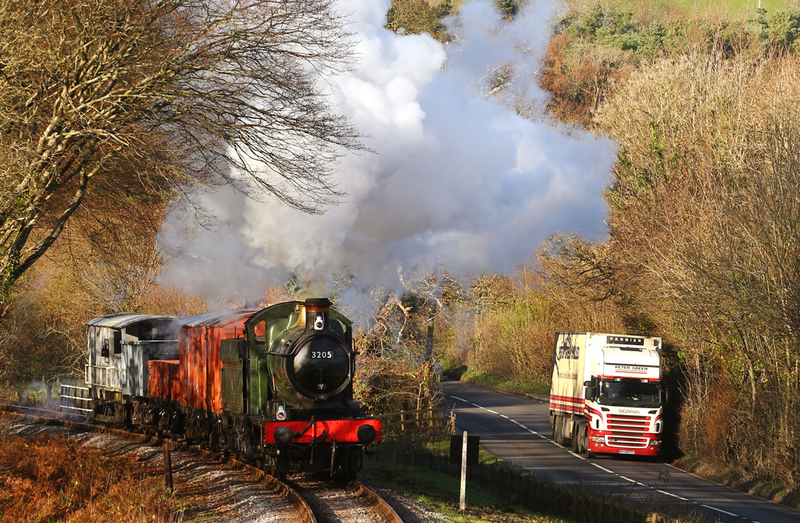 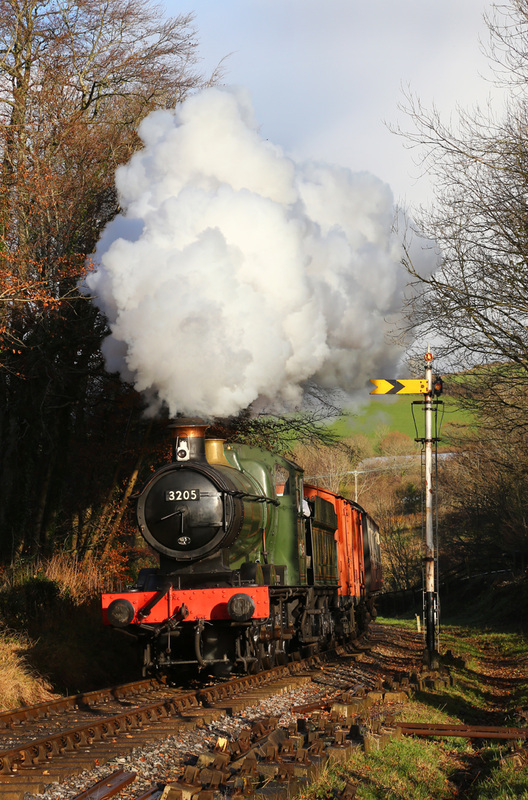 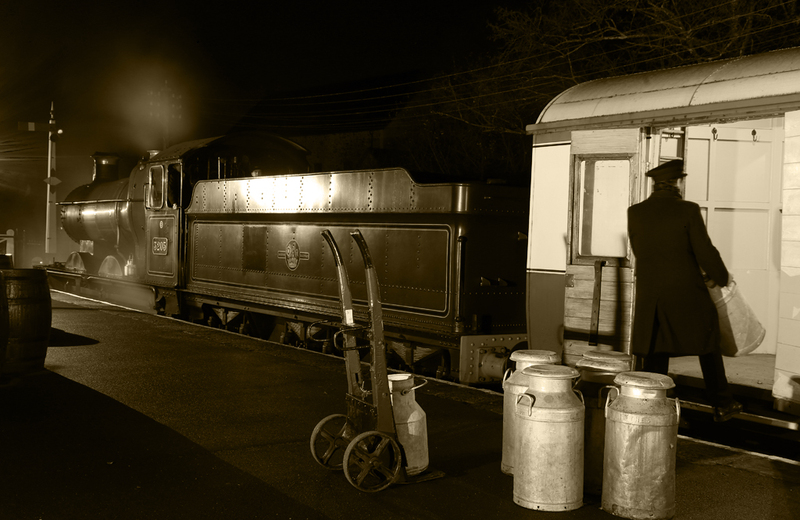 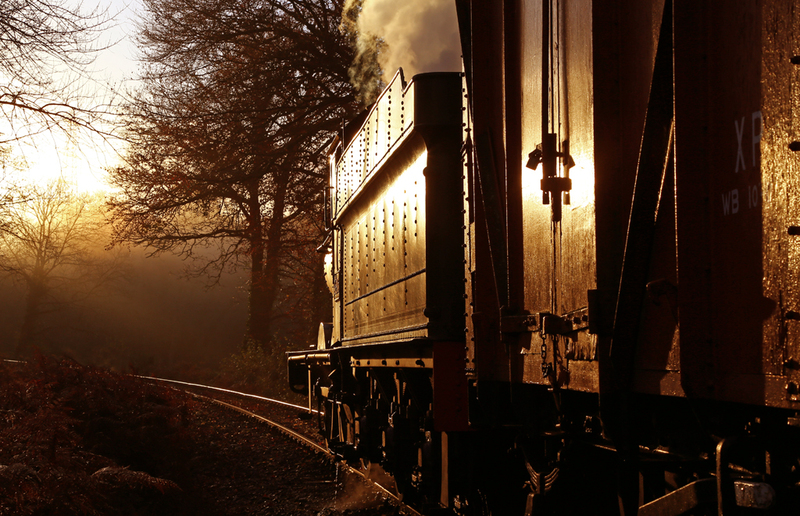 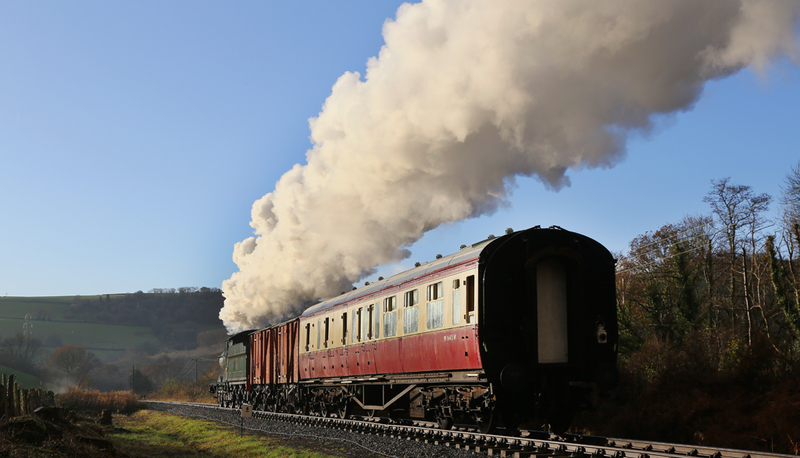 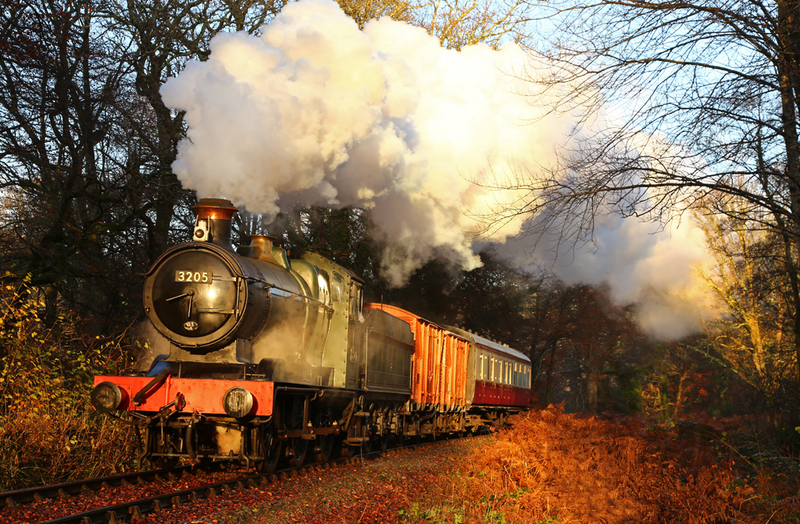 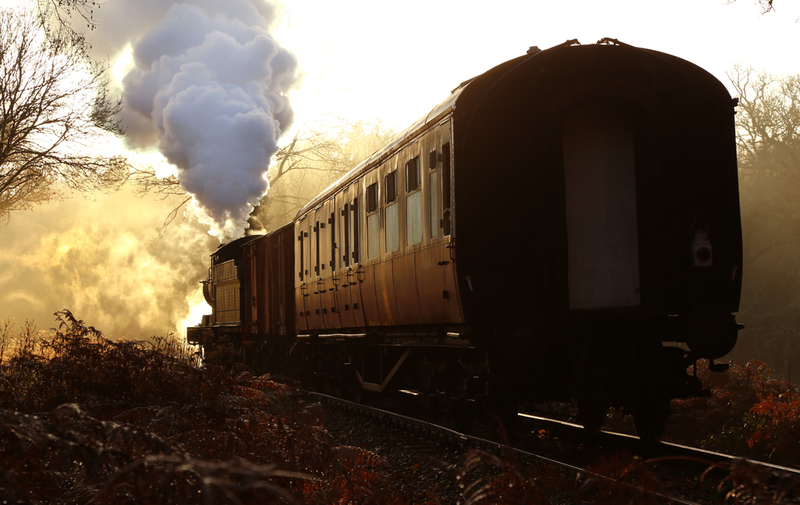 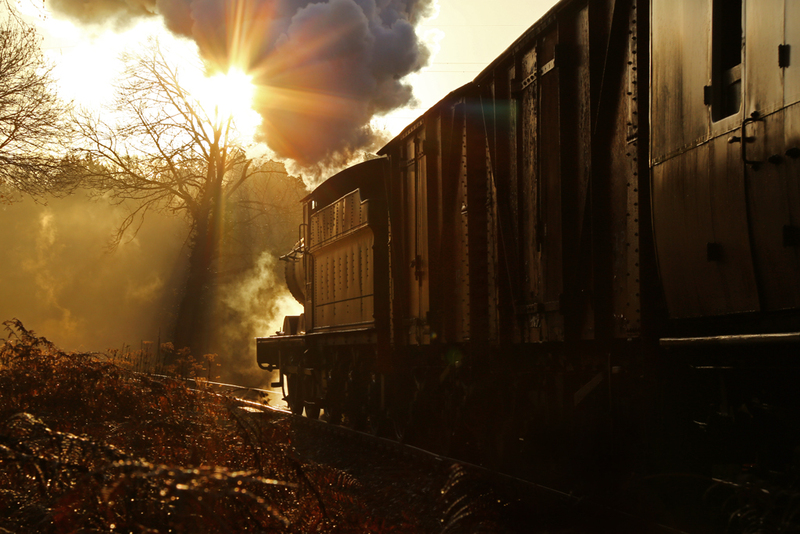 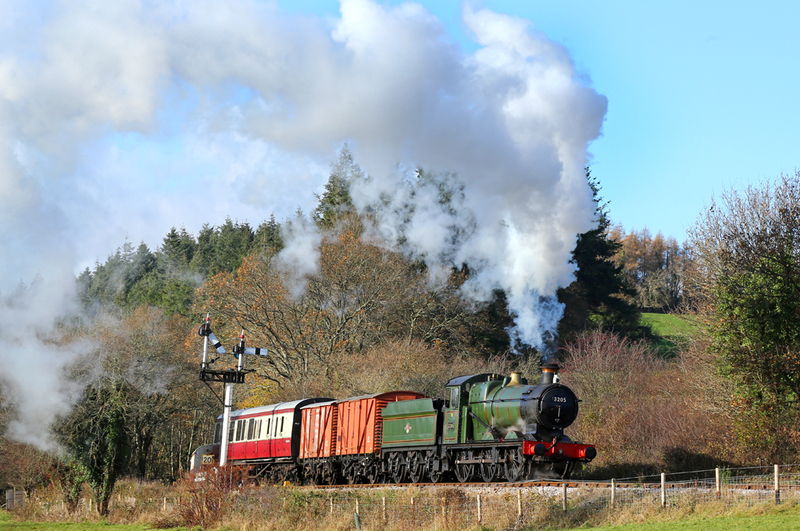 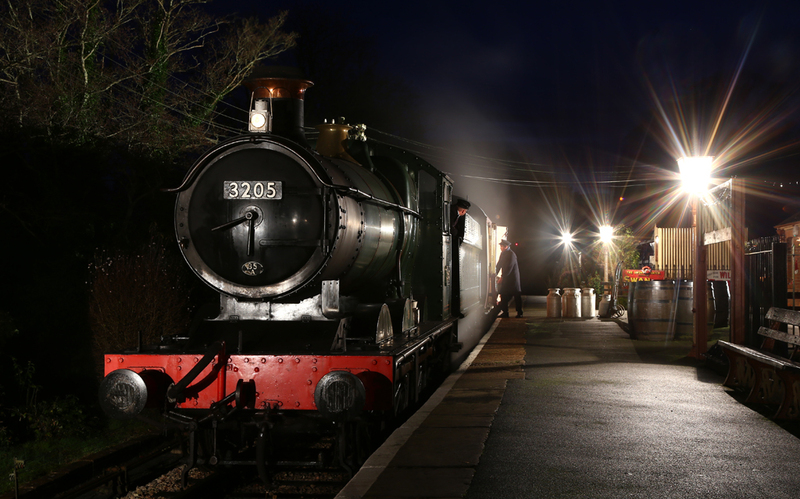 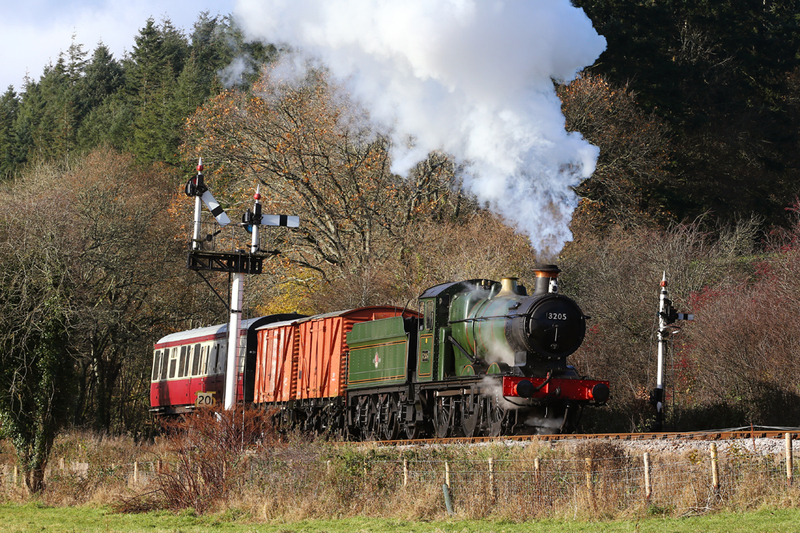 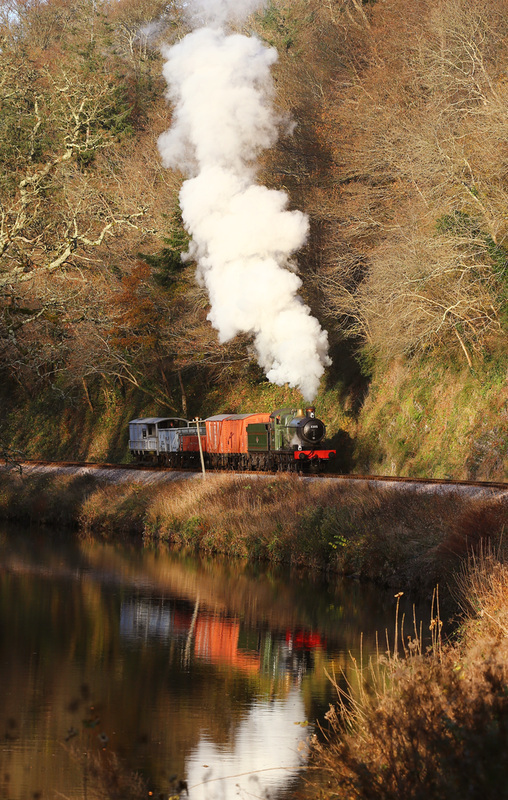 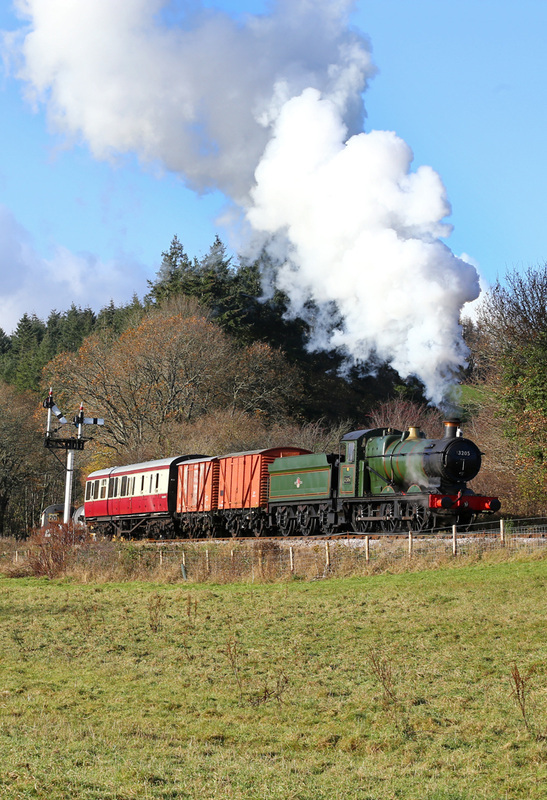 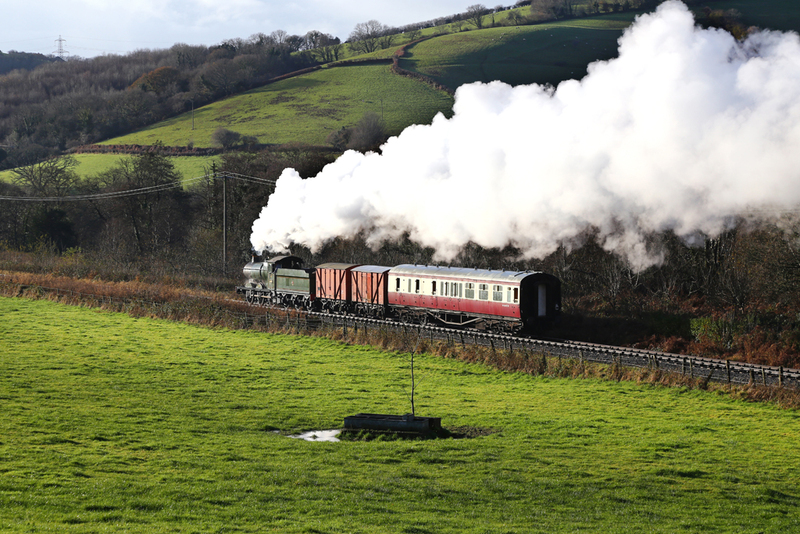 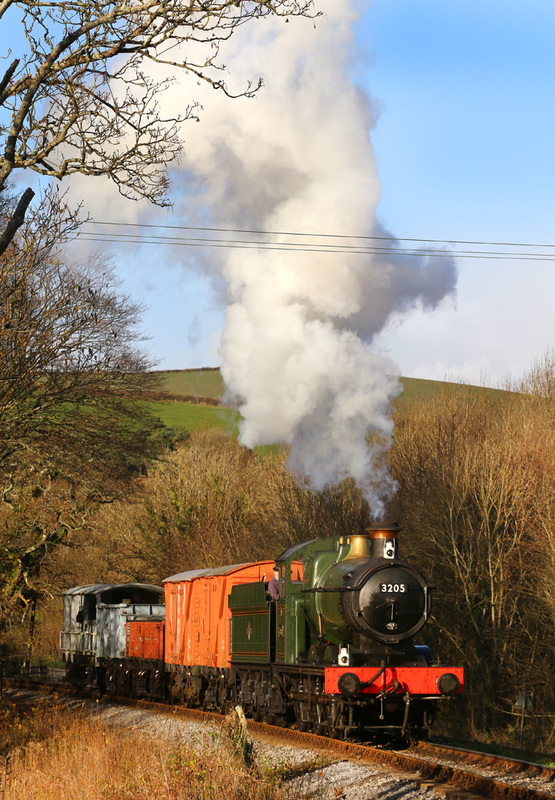 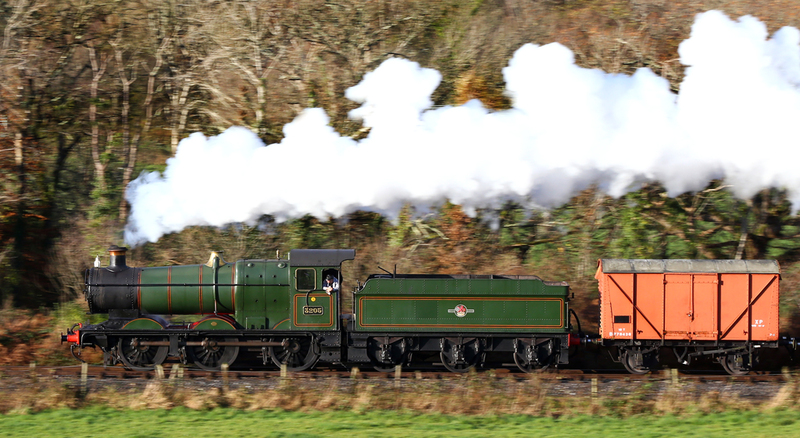 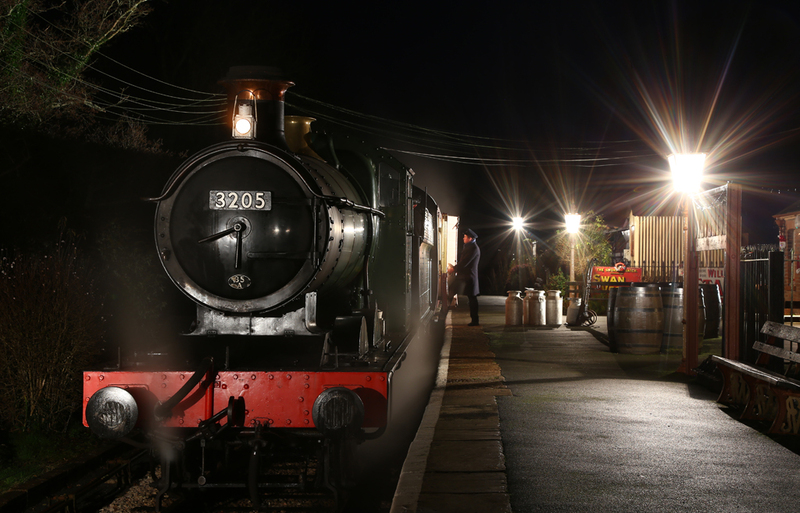 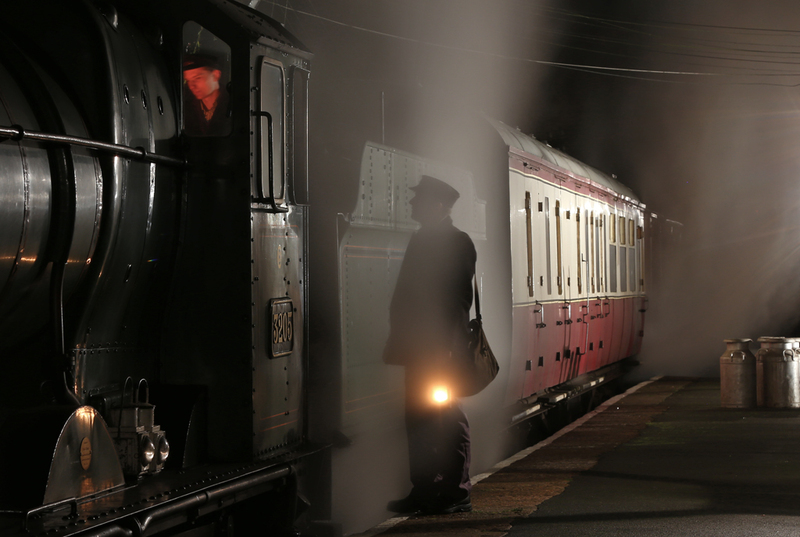 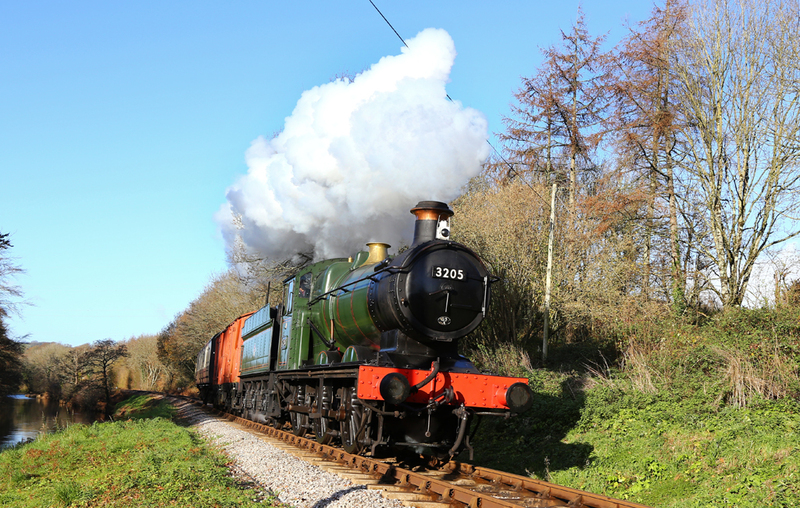 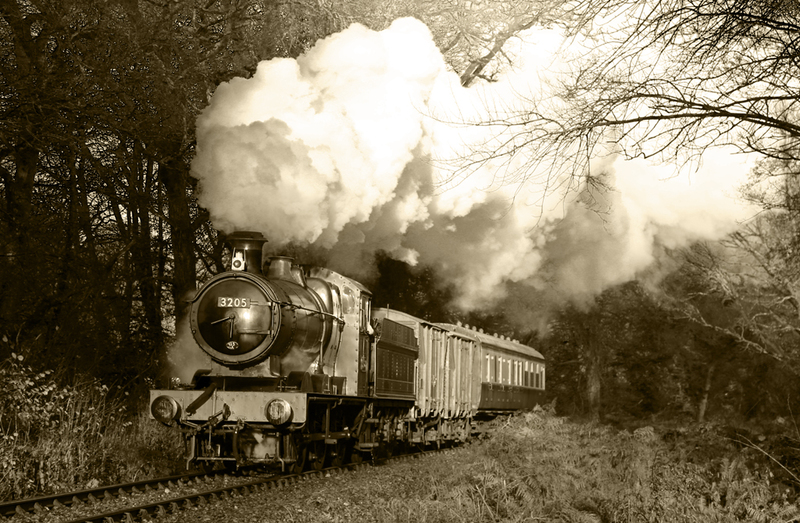 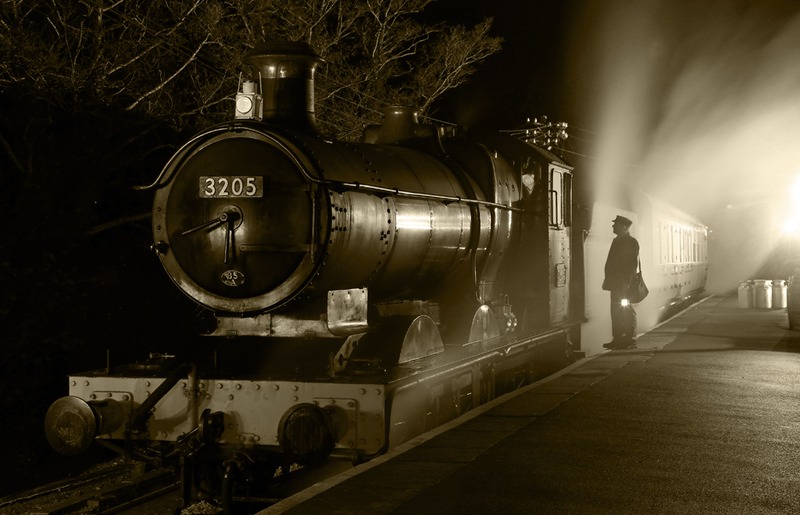 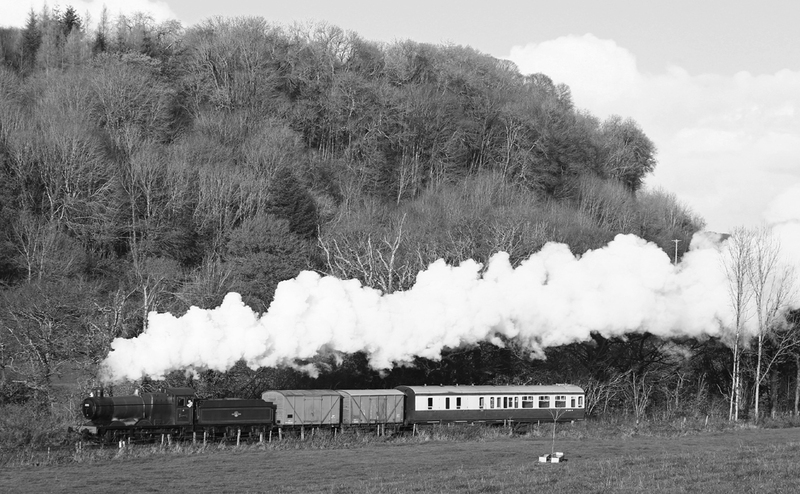 The 'Collett in Devon' photographic charter took place on the 8th December 2014, at the South Devon Railway and was organised by Timeline Events. 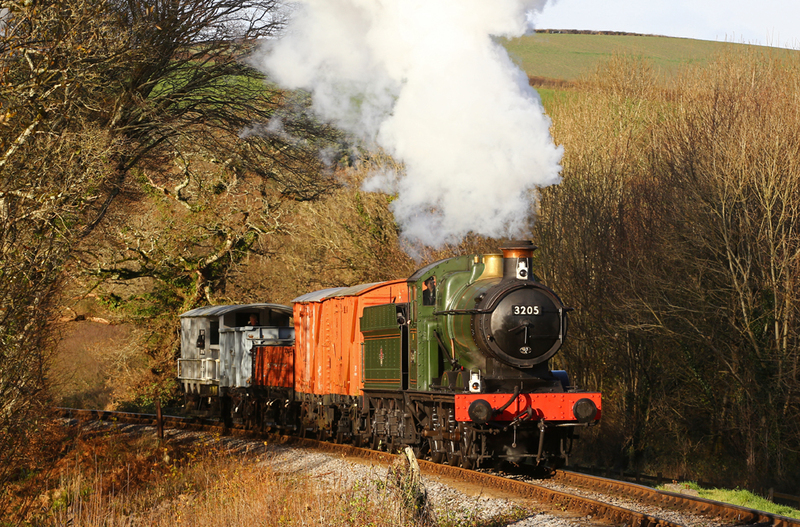 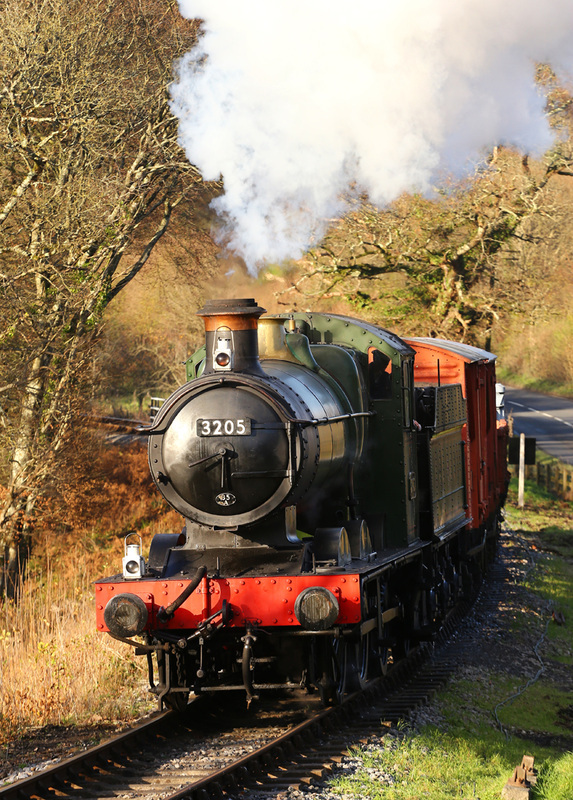 The charter originally intended to used recently overhauled Pannier Tank No.6412, however slower than planned progress with the overhaul at Buckfastleigh meant the loco was still under long term restoration. 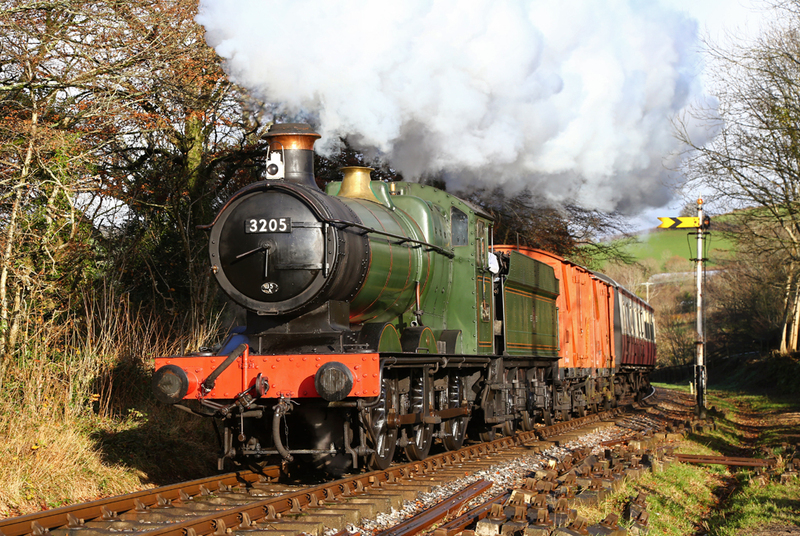 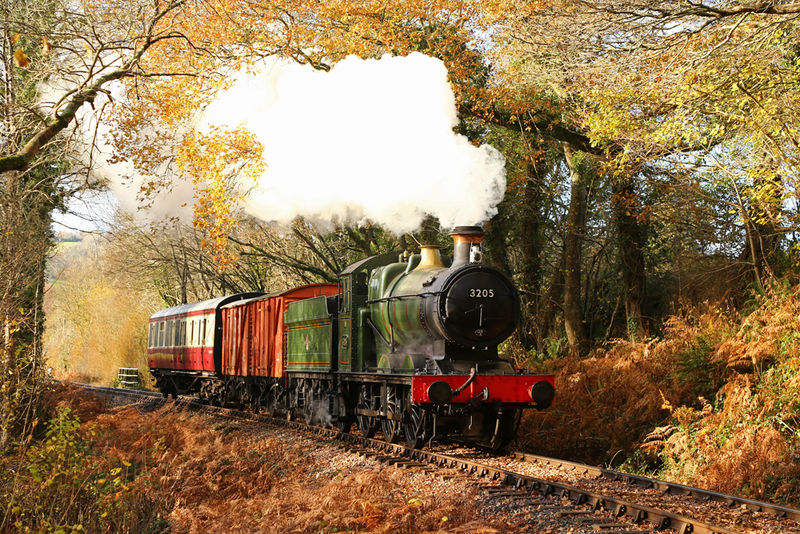 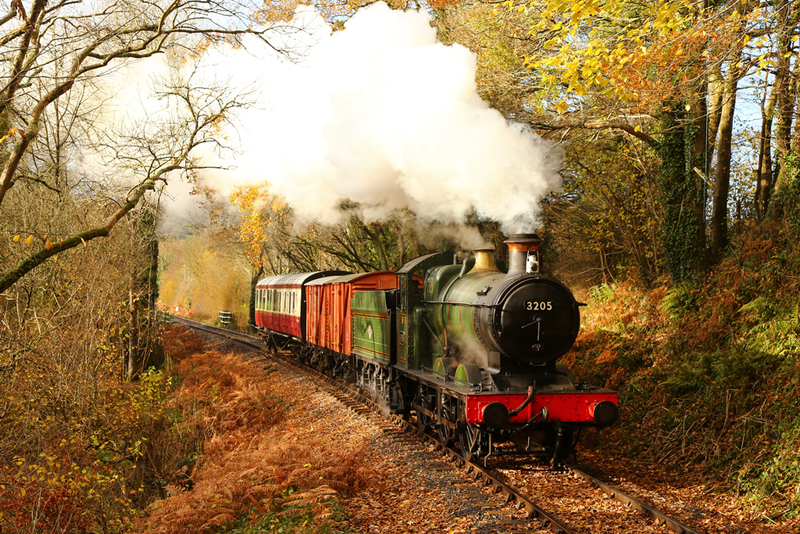 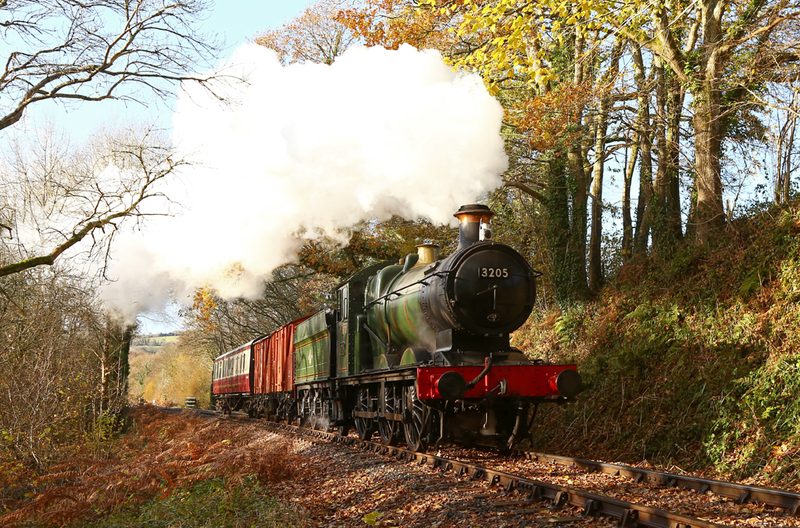 Instead the South Devon Railway's BR green lined 0-6-0 Collett was offered as a replacement. 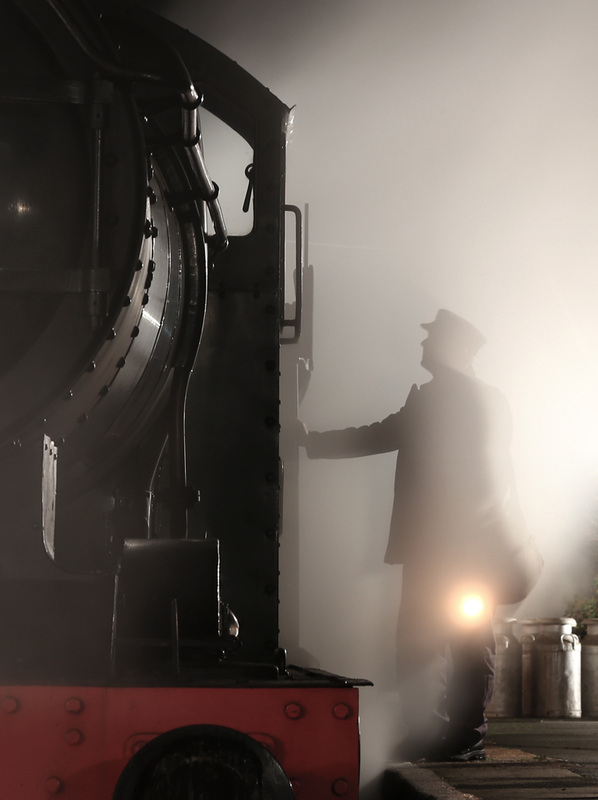 The day saw three different formations used for three parts of the photographic shoot. 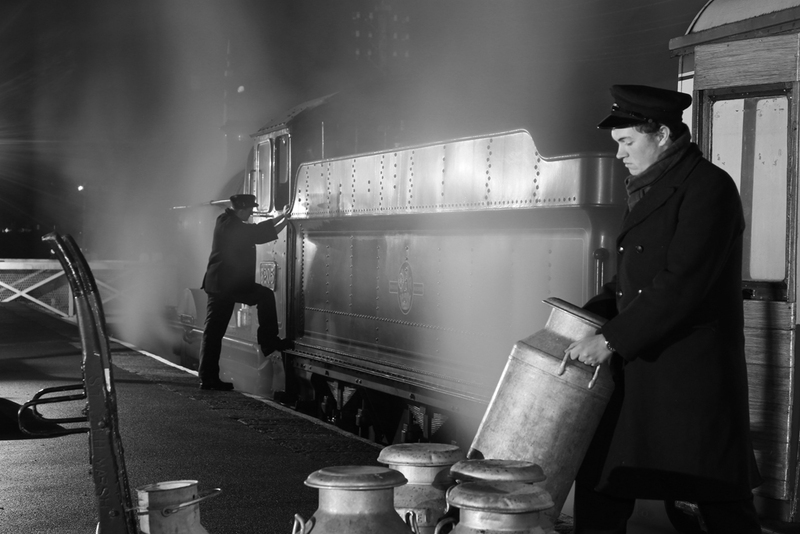 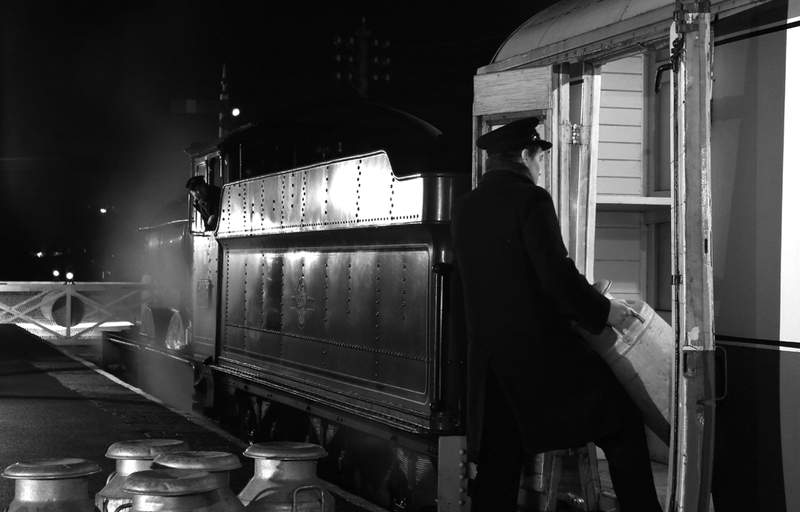 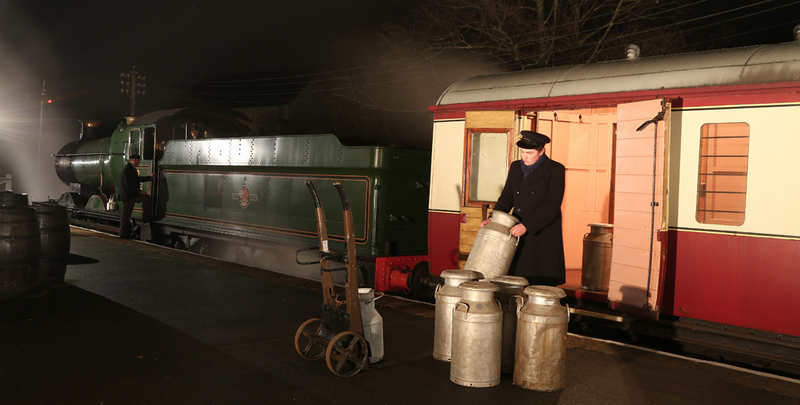 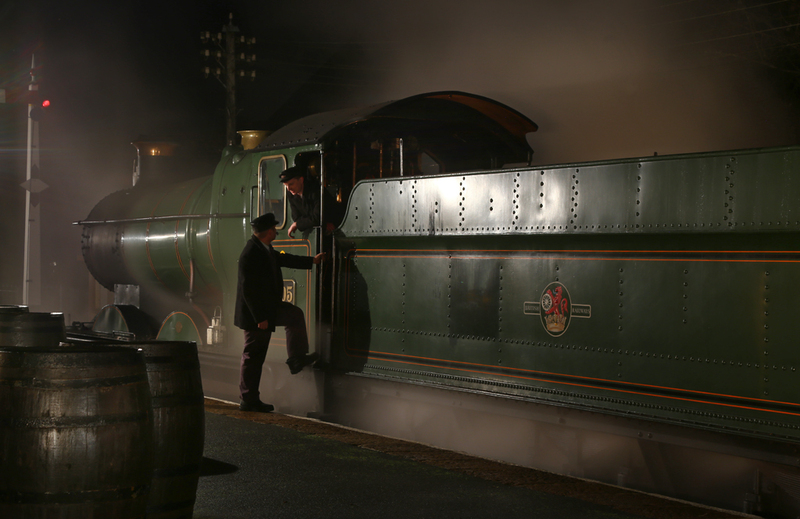 For the morning shoot, two bauxite brown box vans and a single collett coach were provided, while in the afternoon the train was reformed into a small mixed freight train, and after dark the box vans and collett coach were reformed for a night shoot at Staverton Station. 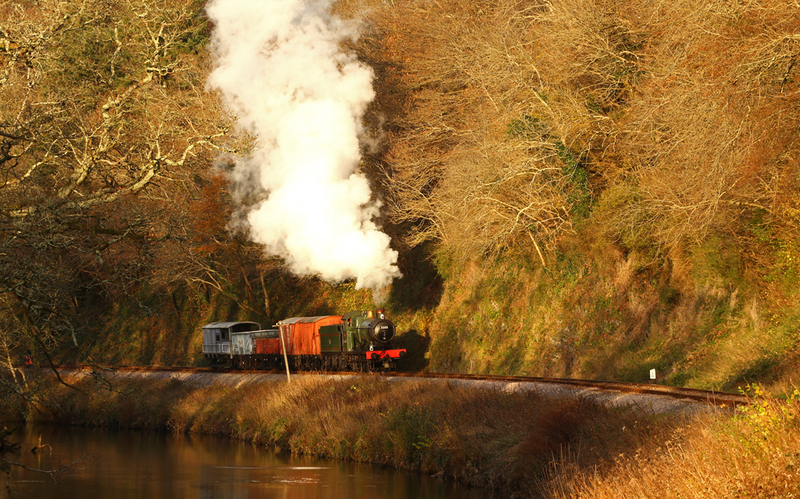 The mild weather presented some stunning Autumn scenes which should not of really been expected during December. 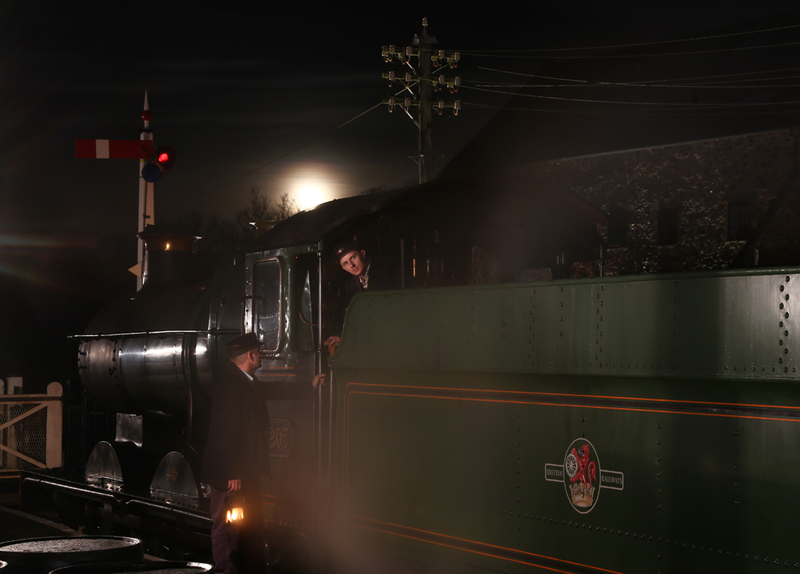 Around 20-25 photographers enjoyed the stunning Devon scenery along the length of the line before taking part in the evening night shoot at Staverton Station. 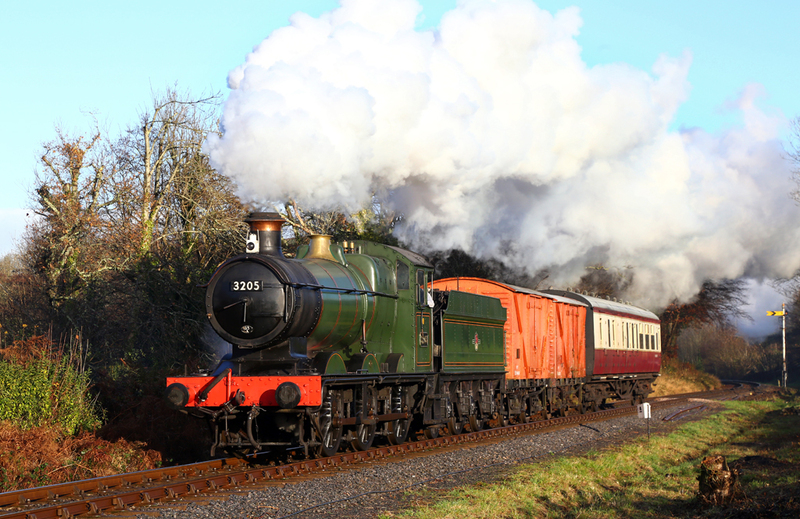 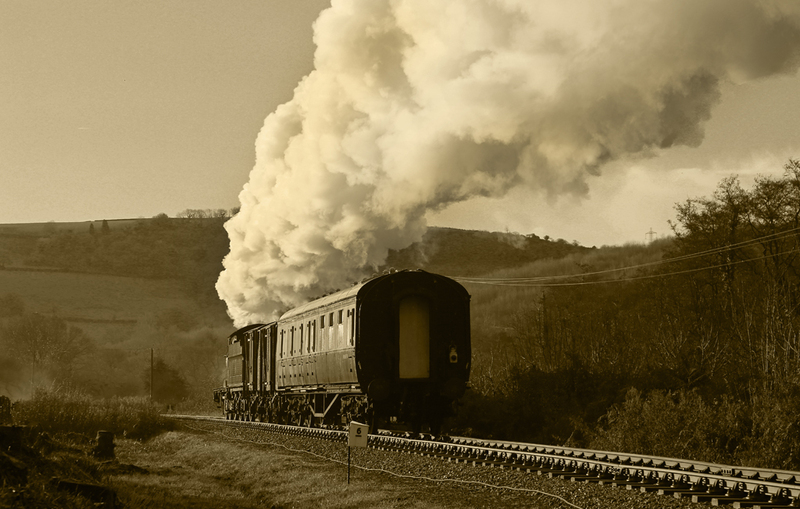 A minutes science was also held at Staverton to remember enthusiast Ken Bailey who had recently passed away, Ken was a regular on the steam and bus charter circuit and was well known to many enthusiasts. 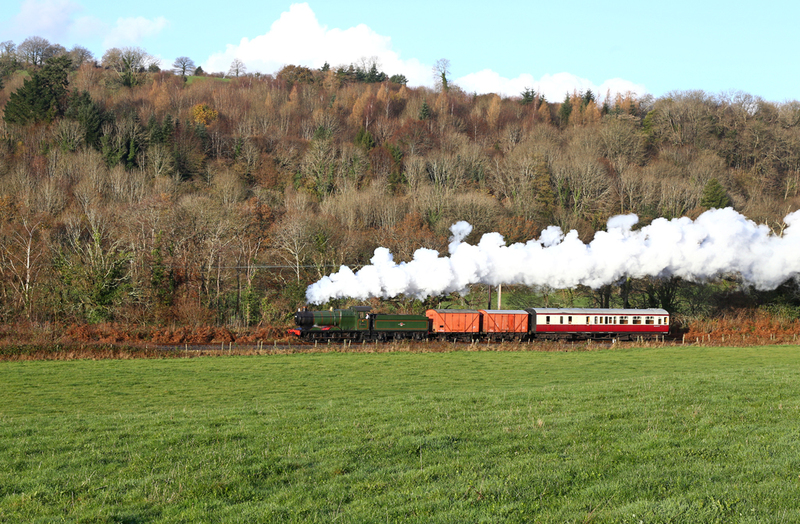 It was a fitting tribute that a steam engine whistle should mark the start and finish of the remembrance. 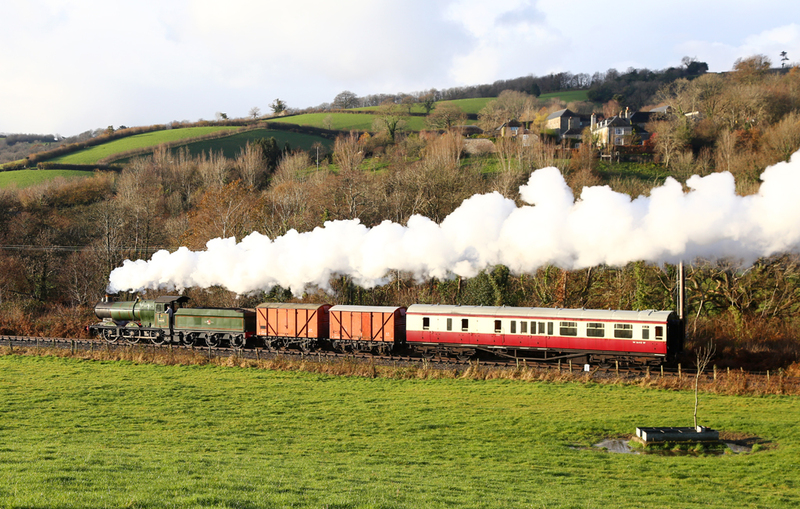 I would like to thank Neil Cave (Timeline events) and the enthusiastic South Devon Volunteers who made the day out so enjoyable.